Yes, I actually got it. 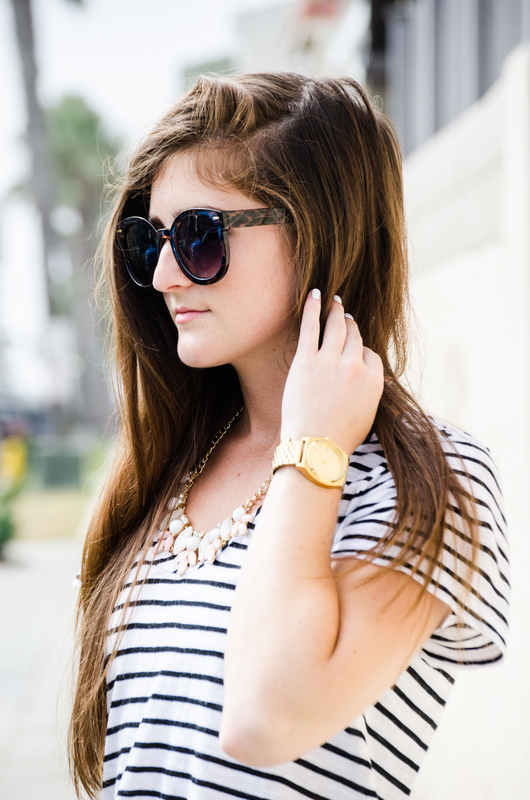 So I’ve already started raving about how much I love my lululemon jet crops… they’re more versatile than you’d think. I wore them to the airport with my yoga clothes. I’ve worn them with Nike Roshes. And I wore them to an interview with heels. I’m not saying that I got a job because I wore sweatpants, but really, look at the control groups and the variables and come to your own conclusion. 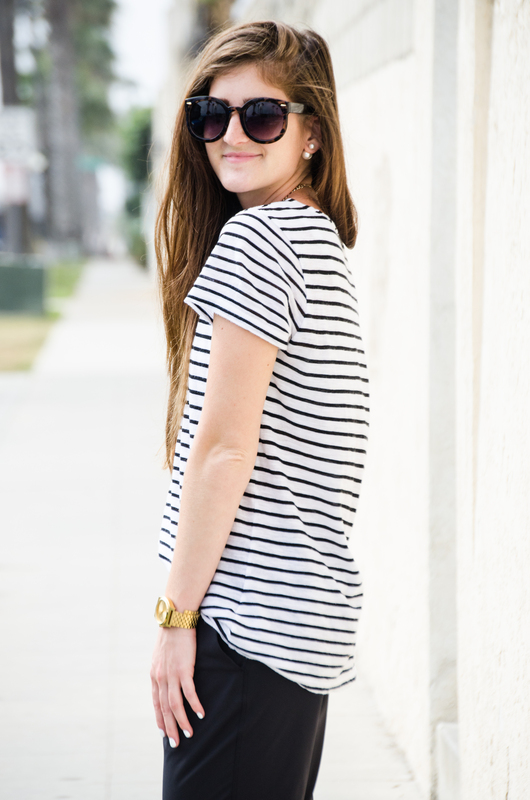 Tee: Nordstrom – Also one of my favorite closet staples. It’s on sale and stupid cheap. 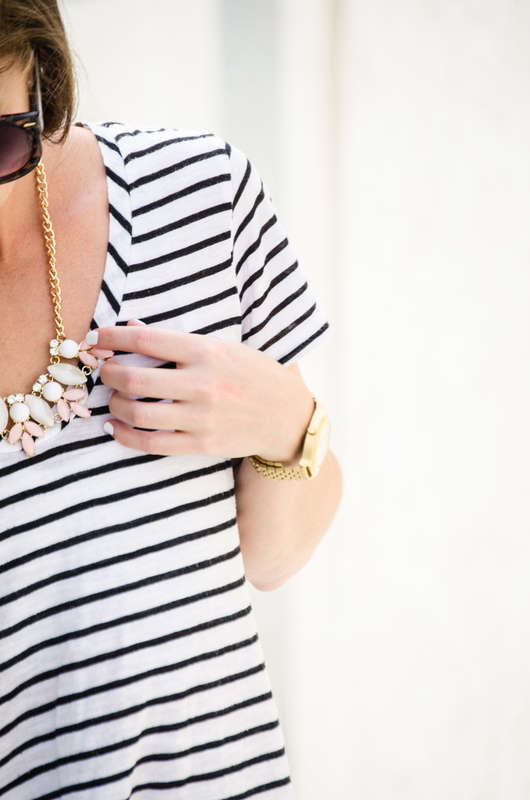 Necklace: Nordstrom (similar) – don’t judge me I still shop at BP and I dgaf. Shoes: Steve Madden – They’re Stuart Weitzman knockoffs but I love them. They do run small, and made me feel like I had huge feet (even though I wear a 6). 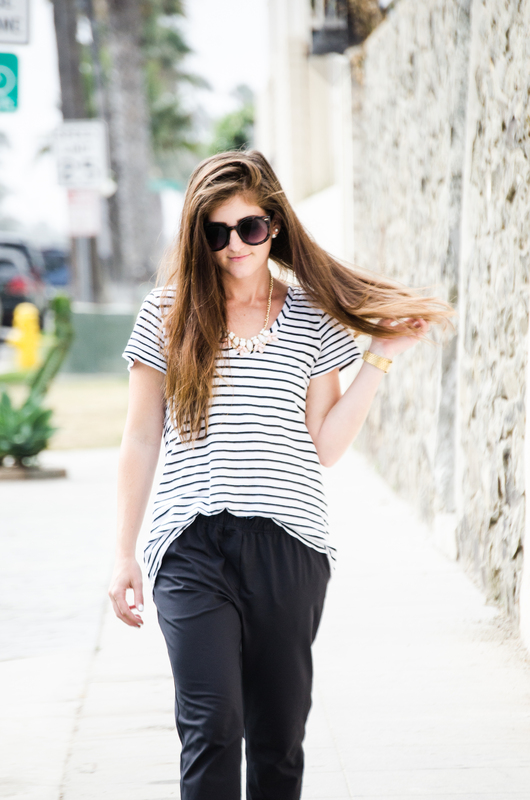 Pants: lululemon – like I’ve said many a time: buy. these. pants. all photos: @ariellevey of goldwireblog.com. she is a wizard with a nikon dslr.